One of my intentions for 2017 was to read more books and during the year I delved into some super interesting, educational and inspiring books that have completely transformed my thoughts, emotions, wounds and actions. 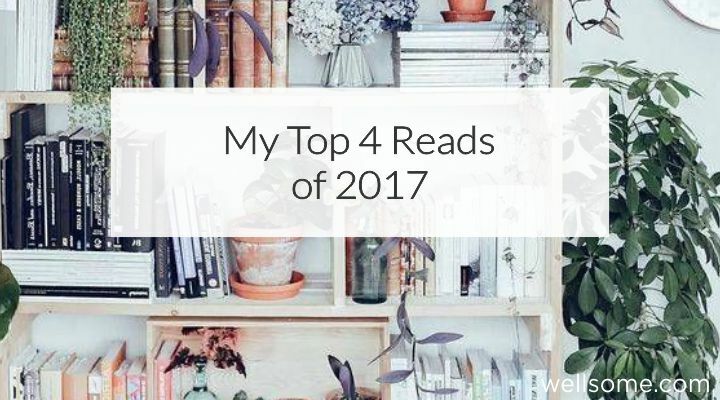 If these are books that if you haven’t yet read, add them to your 2018 reading list. This was actually the first book I read in 2017 and it was the foundation of me stepping into some fears that I had at the time. (yep we all have’m) In this book Gabby shares many of her personal experiences of fear, confusion, self questioning and guides us (aka the reader) through how she handles them in their moments. It has a bit of fluffiness to it so it made it the perfect book to read before I got my hands on the others listed below. I’d recommend this book for anyone who’s keen on learning the ways of the universe and how in each and every moment fear can be turned into light. Plus the bonus meditations, offerings and amazing insights she offers we’re keys for me. I took lots and lots of notes from this. The other books I ferociously underlined and dogeared haha. explains that happiness isn’t about never having challenges, rather how we live our lives, action and communicate in challenging times. The book is completely practical and filled with loads of exercises, safe to say many pages have dog ears and underlines. It’s a book I now keep on my bedside table and refer to regularly. This year I embarked on one of the most confronting journey’s into the feminine guided and supported by a beautiful friend of mine Tamika (blog post coming on this soon). She works with women to embrace and ignite their femininity. It’s actually a lot more than just this but hence why i’ll wrote about it separately. Womb Wisdom the book however is one of the most home coming books I’ve read as it delves into the history of the womb and the beauty of the feminine and masculine. An amazing insightful look into the womb, and how as females your life can enhanced in many ways with the simple ancient techniques shared in the book. What books will you read this year?